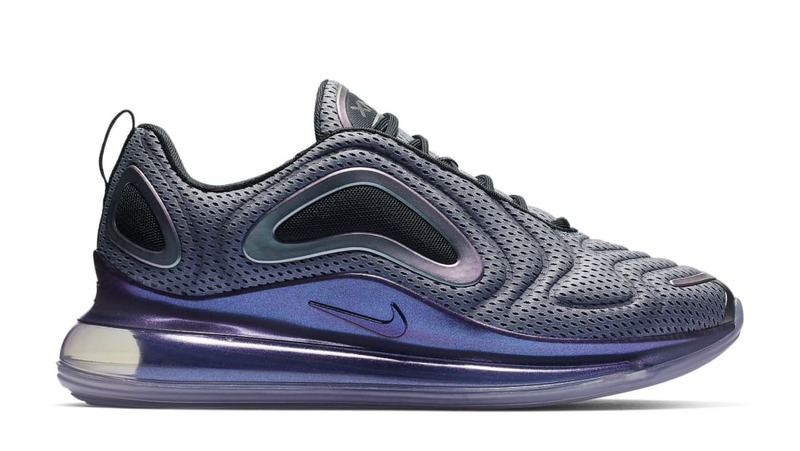 Nike Nike Air Max 720 "Northern Lights Night"
Dubbed the "Northern Lights Night," the Nike Air Max 720 will debut in a futuristic upper sporting a blue mesh upper with breathable panels on the sides, an iridescent midsole with its first-of-its-kind Air Max 720 cushioning setup. Release date is Feb. 1, 2019 at a retail price of $180. News Nike Air Max 720 "Northern Lights Night"